Orange coloured bracts about 10 cm tall and lasts for over two months on the plant. 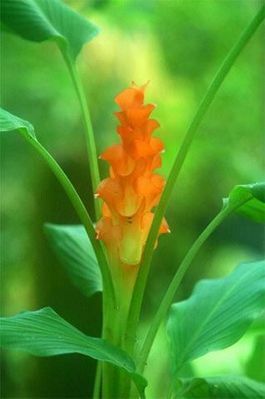 The cone like inflorescence of brilliant orange bracts appear during August and last well into October. The rhizomes must be kept dry during December-March. Very good for cutflowers.